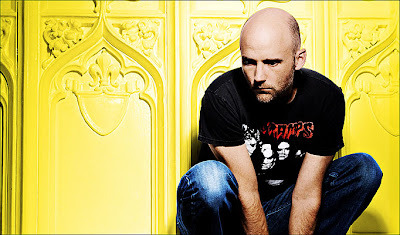 The singer and American DJ Moby returns to Brazil for two shows in April of his new album "Wait For Me". The musician performs in Sao Paulo on April 23rd, at Credicard Hall, and in Rio de Janeiro on April 24th in Citibank Hall. The ticket prices has not been disclosed, but a spokesperson for the show has confirmed that the sales will start on February 11th for Citibank clients, and 18th for the general public. Further information about the presentations will be announced soon. Moby brings a tour of his ninth studio album, "Wait For Me" which came out in late June last year by his own label, Little Idiot Records. The first single from the "Shot in the Back of the Head", which was launched with a video directed by David Lynch.